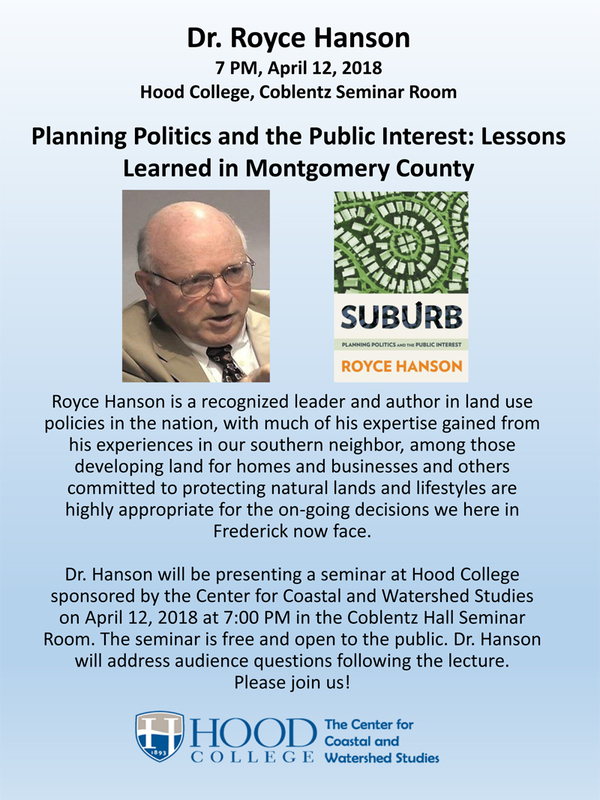 Join us for a excellent presentation next Thursday from Royce Hanson, a recognized author and national leader in land use policies. Mr. Hanson will be presenting a seminar at Hood College, sponsored by the Center for Coastal and Watershed Studies, on April 12, 2018 at 7:00pm in the Coblentz Hall Seminar Room. The seminar is free and open to the public. Following the evening lecture, Mr. Hanson will entertain questions from the audience. Royce Hanson is a recognized leader in land use policies, with much of his expertise gained from his experiences in neighboring Montgomery County. 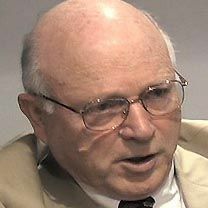 His insights into cooperation between those developing land for homes and businesses and those committed to protecting natural lands and lifestyles are highly appropriate for the on-going decisions we face in Frederick County. As a frank and insightful chronicler of that experience in his recent book Suburb: Planning Politics and the Public Interest, he carefully explains how planning politics operate within pervasive thematic influences such as the tensions between planners’ logic of intended and unintended consequencesm on the one hand, and politicians’ logic of appropriateness and practicalities, on the other. Hanson observes the conflicts between competing values and interests of development and community interests and the rise and fall of local governing regimes and accompanying pendulum swings in decisions and policies. He focuses on participant roles established by law and custom and rules of civic engagement. Most importantly, he evaluates the consequences of the development pattern produced by a century of strategic land use decisions for fiscal and environmental well-being, mobility, social equity, fairness, and opportunity for choices by future generations. 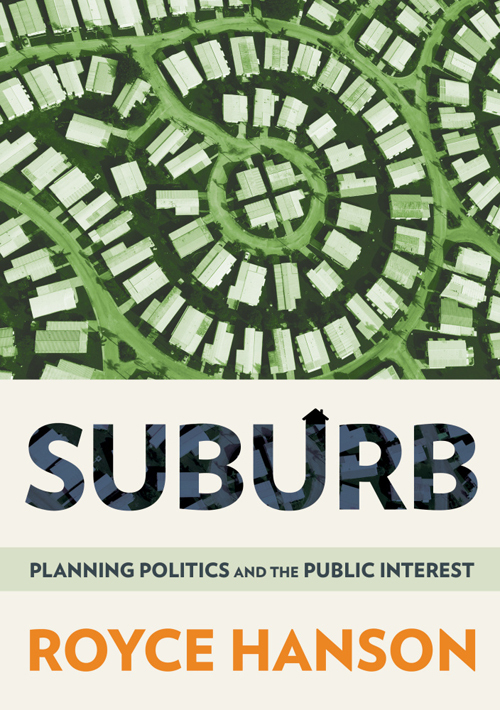 Staff from the Hood College Bookstore will be at the presentation with copies of “Suburb: Planning Politics and the Public Interest” available for purchase, before and after the presentation. Alan Feinberg, RA, AICP is a long-time community planner, an urban designer and, in the last decade, has been a "community instigator" in Frederick County, which includes being the founder of East Founder Rising.